Squash rackets. They’re how you hit the ball. Fun fact: adult rackets are 686 millimeters (27 inches) long, according to the official specs published by World Squash. You can also get shorter junior squash rackets for young players. How do you find the best squash racket for your particular game? Unfortunately, there’s no magic answer — you just have to try a variety of different squash rackets until you find one that works best for you. Weight: How much the racket weighs in total. Balance: Whether the racket is weighted towards the head (“head-heavy”), weighted towards the grip (“head-light”), or evenly balanced. String pattern: How many cross and main strings it has. Throat shape: Whether there’s a bridge across the throat of the racket (“conventional” head shape, as in the first picture above) or the strings go all the way down (as in the picture below). Graphic Design: How cool it looks. Durability: This can be a bit subjective, because it depends on how often you smack the wall with your racket, but it’s a factor. 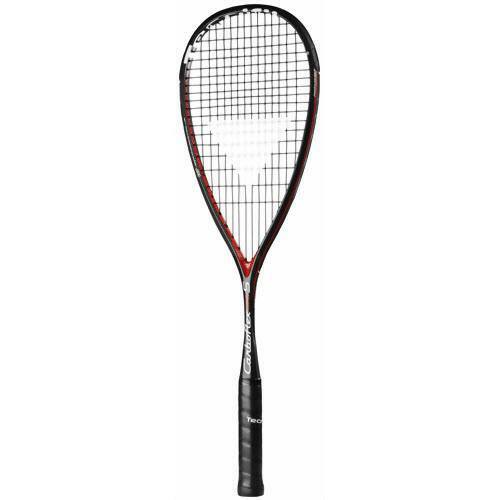 Squash Source has a growing collection of squash racket reviews. Squash Source readers have left valuable comments around the site. I try to also include reviews done on other squash equipment sites. Do you have any feedback on your current squash racket? Please search for your racket and leave a comment about it! Any idea what yip is playing with? Doesn’t look like his old salming racket. So who’s doing the best “Black Friday” sales/deals/discounts/coupons on Squash equipment this year? Edmon Lopez was playing with 2 different rackets from the Hit Rackets company at Hong Kong against Au. Not a beginner but have been away from the game for a number of years ie., kids, job, injuries etc. previously played in college but have lost touch with the game and now hoping to get back into it. My last racquet was the dunlop hotmelt pro. It seems like there are so many new options out there. Any suggestions on a good frame to utilize during my comeback to the game. In my youth played more of an attacking game but after putting on a few pounds and losing quickness I wonder if a different frame would be better. So I was able to do a racket test today between the Black Knight Ion Element PSX, the Dunlop Hyperfibre+ Evolution, Tecnifibre Carboflex X-Speed 125 and the Wilson Blade Countervail. My initial thoughts out of the box were that the Tecnifibre was the lightest and the Wilson the heaviest which was confirmed on my kitchen scale but not by much. The Tecnifibre came in at 153g, Dunlop at 156g and the Wilson at 159g. These weights included a strip of bumper tape that came with the rackets from the demo program which definitely adds a few grams. I’ll post individual reviews of each racket but there was a clear winner on the day and in my mind and that was the Dunlop Hyperfibre+ Evolution. I will qualify that statement by saying that each racket is really good and I don’t think you could go wrong with any of them. The balance on the Dunlop felt great straight out of the box and it has a great blend of power/feel/control. I look forward to this being my weapon of choice for many years to come. Love the Evolution. You, me, and Declan James are all on board! I was very impressed by it. I even didn’t mind the factory strings, although I will swap them out for my preferred set of Ashaways once they break and hopefully it will play even better! What are your preferred Ashaway strings out of interest? I’ve been testing strings in my Evolution Pro, and leaning towards the SuperNick ZX Micro at present, but curious about the PowerNick and UltraNick too. I’m a big fan of the blue Ultranick. I find it has the “softest” feel out of all the Ashaway strings. I’ve tried the Supernick ZX Micro and didn’t like it as much as the Ultranick. I have a pack of the Orange Supernick ZX string which I’m looking forward to giving a try too. I don’t like the Powernick at all, it has far too stiff of a feel for my liking. Quick Q Pierre. Did you have any issues with durability for this racket? Yes. I didn’t consider it until you asked the question but I have actually broken two of them … and I almost never break rackets. Thanks. Standard hairline cracks or something more catastrophic? And over what period of time? Hang on a minute. I only broke ONE of these frames. Gah. I got confused because I bought a second frame for backup around the same time. No wonder I could only remember the details of one breakage! Phew, that makes me feel better! I hate the idea of playing with a fragile racket. I’ve been blessed to play with the BK Ion Element PSX for the past 3 years which is practically indestructible. I broke one in a bizarre mid court collision with an opponent and that’s it…and I play a lot and I’m not gentle with my rackets! Thanks for all the feedback Pierre. Hello! I play 2x week. My style of play is very much lots of drop shots and volleys, I have good control and precision (I enjoy playing this way). I currently use a Head Nano Ti 110, and I have used a friends 135. I really did feel the weight difference with the 135 and didnt like it. 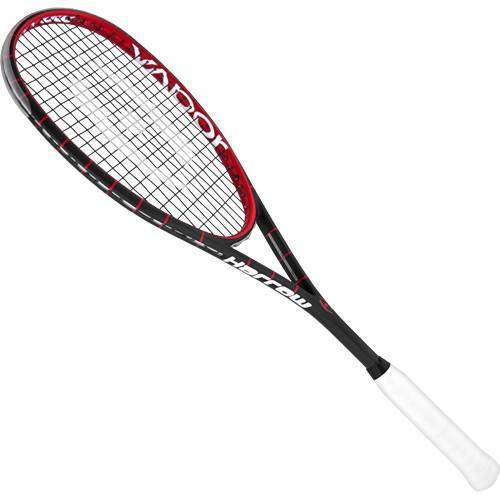 So my question is, if I want to boost my style of play, which is volleys and drops, what kind of racquet do you recommend, and is it normal for that style to use such light weight? Thanks! Hi Mike I do think it’s normal for your style of play to use a lighter racket. I haven’t used that Head model. How much does it weight on a scale? But the first racket that came to mind was the Dunlop Revelation 125. Same head shape, light and head-light. Bit different stringing pattern though. Hi Mike! I wanna ask you an irrelevant question if you don’t mind. How is that Ti 110 doing so far? isn’t it a bit too light hence leaving it prone to damage? I’m planning on getting a replacement for my Head racket and i was considering either the Ti 110 or Carboflex 125. Would be great to hear your opinion!